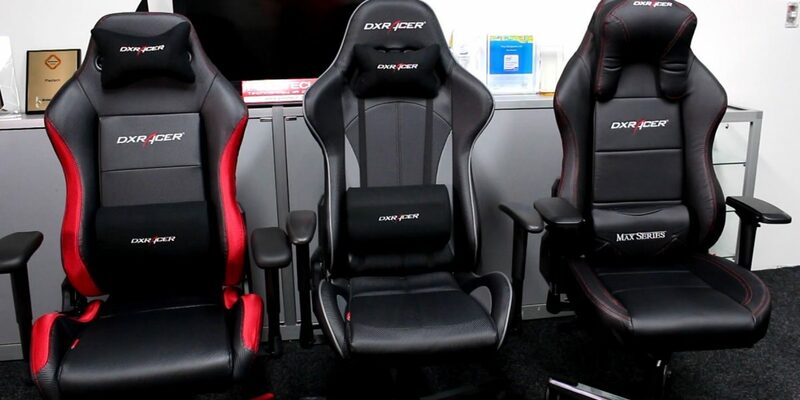 DXRacer Formula Series Review 2019 - Should You Buy Them? 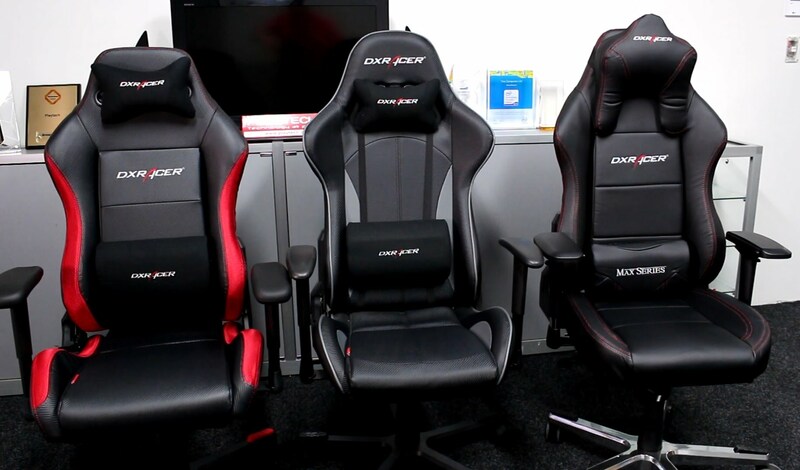 Home » DXRacer Formula Series Review 2019 – Should You Buy Them? Anyone who has tried gaming before understand what it takes when it comes to having a complete gaming setup. The setup normally includes having the gaming rig, impressive monitors, keyboard, mouse, headsets and still the chair. Yes, you have read it right. You need to have a gaming chair. Keeping in mind that you might be gaming for hours, it is then important to have a comfortable chair to help you out. 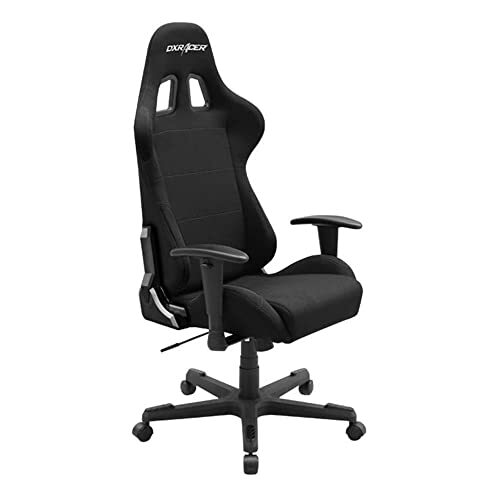 One of such gaming chairs is the DXRacer Formula chairs. 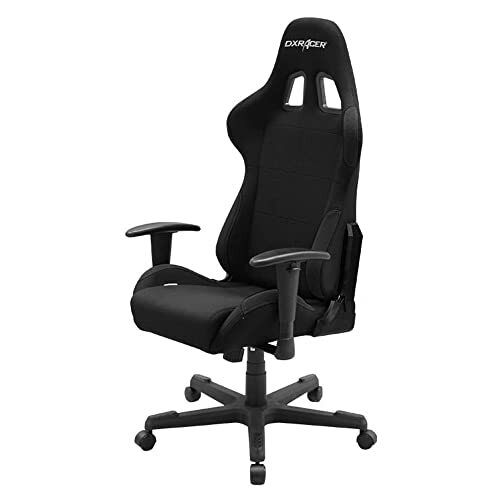 The chairs of this series are comfortable and will make life for a gamer easier always. There might be other models, but we get to look at what makes this one the best. The color options for a long time now help people to decide which chair is the best. The Formula series comes with about 40 models you can choose from. Comparing them to the other gaming chair lines, this is the most successful. This is mostly because of the kind of variety you can get while buying them. From the various models offered, it is for sure that you are going to love one or even more. As for the colors, you get to choose up to 12 colors. The chairs are available in the common colors such as orange, blue, green, gray, white, yellow, and a lot more. The interesting colors should be coffee. Well, if you like your coffee so much, then you should have something to use too. If we go by gender, women are likely to pick the pink color chair. Well, some men might also love the color. A lot of things go into making a gaming seat the best. The construction matters a lot as it will determine what you can do with the model. For this line of seats, you get that there are three options when it comes to seat covering. You can either have fabric, polyurethane, and carbon look vinyl. Of course for many they will choose the fabric for covering. The fabric material is often considered to be more comfortable and will be good for someone with pets. The pets will not be able to dig their claws into the seat and leave marks. Another thing is that fabric is also cheap and does not heat up as compared to the other finishes. The fabric used for this seat is breathable so do not expect to start sweating when you decide to pick it today. Still on construction, we still get to check out the padding. If you touch the backrest and the lower bottom, you should feel that they have the best padding. You will never have to worry about the padding to sink after using the seat for only a few months. When it comes to gaming, you need all the best ergonomics you can get to have a good time. Without the comfort, gaming will not last for even more than an hour. So, what are some of the ergonomic features of this seat? The first thing you will like is the adjustable backrest. It is possible to adjust the backrest to tilt up to 135 degrees. That is a lot of adjustability from where it was. Another thing is that you will have 12 positions of adjusting it. Having the option of tilting the backrest all the way helps to get a position for resting. You may be taking a few minutes of resting before you can continue gaming. This helps you a lot in doing that. You can also set it in a position to watch movies. You simply have to get your headsets on to relax. Unlike other counterparts, you will get that this model comes with adjustable armrests. That is not common with these office or gaming chairs. You can have the armrest at the right position for comfort. It is also worth noting that the armrest is also heavily cushioned to offer the best comfort still. Still as part of keeping you focused on the game, the seat comes with headrest and lumbar cushion. These two are important in giving you the right support for the back and neck while gaming. It is important to point out that you will find this seat being heavier than your average office chair. This comes down to the build quality. The base of this seat has to be stable and durable too. That is what you get with this model. Unlike those chairs that easily break after a few months, this one will be standing years to come. The durability is enhanced by having the base being made from strong materials such as silver and aluminum. The five spokes for the best is all about giving you more stability. It also helps with carrying more weight without necessarily crumbling. It can easily hold weight up to 200 lbs. for the height of about 5 ft. 9in. In this case the wheels are called casters. These are the small wheels that help with the movement of the seats around. The casters found on the DXRacer are good in terms of movement. You will always have a smooth gliding movement each time you use it. If you are going to use on a carpet, then it might be stuck a bit on any other surface the seat easily glides along. The warranty often determines if the model is good for years or not. For this one, the manufacturer gives it a lifetime warranty on the steel frame and 2-year warranty on the parts. You can find yourself being comfortable that it will last longer. On the overall, you should easily find yourself picking this gaming seat today for what it has to offer. It comes in multiple colors so that you choose what you like. It also comes with impressive comfort to make sure that gaming is fun for long sessions. There is no doubt that is what you want for a gaming seat. As much as the price might be hefty, you will find out that it is worth all the money that you get to spend on it.